Leo’s Coney Island offers a variety of employment opportunities with flexible full or part-time work. Our hiring process is done independently through each location. All you need to do is go to the location you would like to work at and ask for an application. 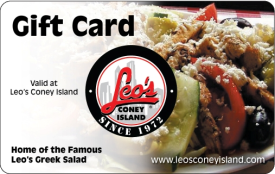 Leo’s Coney Island also offers opportunities through franchising. If you are interested in learning about Leo’s Coney Island franchising please contact Leo’s for our disclosure document If, after review of the disclosure document, you are interested in further considering an opportunity to acquire a Leo’s Coney Island franchise, we can setup an additional meeting to further discuss any franchise opportunities.